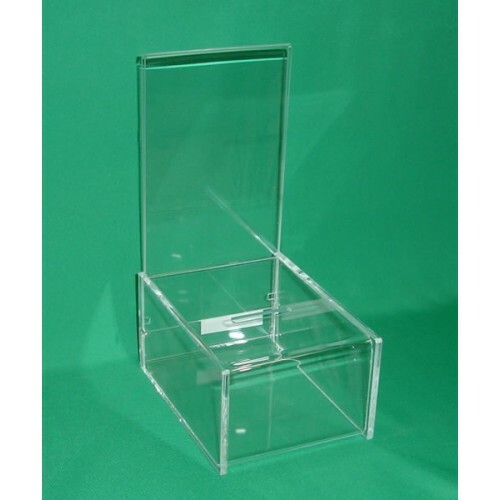 This Deluxe Collection Box has one enclosed lockable section for coin deposits. 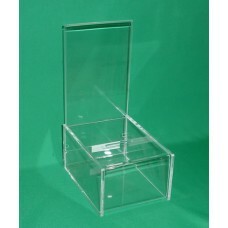 The Deluxe Collection Box has a rear 9" tall Sign Holder for displaying your information. You can insert a 4"x6" sign with your slogan or other descriptive message.